Nowadays, fun pages and communities are found in nearly every Social Networking site. You will often come across snapshots of Bin Laden’s funny Facebook Wall, a rage comic strip or even an iPhone conversation featuring one of those funny auto-corrects. Did you know that it is actually possible to create one’s own version of these troll photos? In this article, we’ll explore a few ways to do it. You can even generate conversations and make them look like iPhone chats. I Fake Text is just the tool for it. First, the user has to enter the name of the person, choose a service provider and enter the conversation in text format. The tool generates an image which shows your conversation in the form of an iPhone message chat. There is also a similar tool to fake an iPhone Siri conversation with normal text inputs. The next one in our list is how to make a funny Facebook Wall. 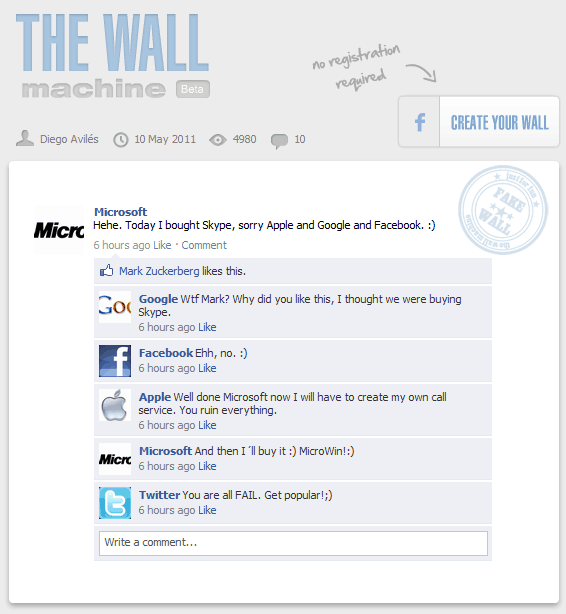 The Wall Machine lets you fully customize a Facebook Wall to look like an original one. It allows you to add User Profile pictures, a Status message and also Comments and Likes in a Graphical Interface. When you are done, the website gives you a URL to view the fake wall you created and if you want you can take a snapshot of the page to make it look real. There is a similar tool for generating fake tweets. 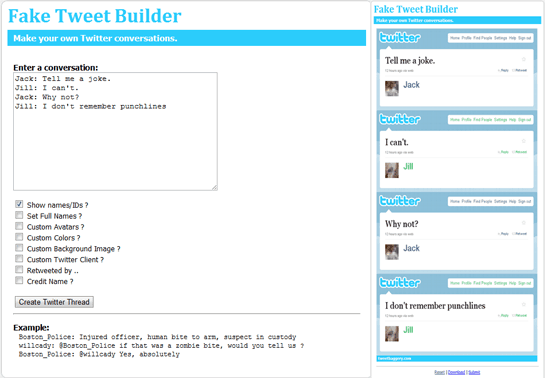 Fake Tweet Builder asks for a conversation in a text format and generates it in a Twitter-like interface. You can even download the image after the conversation has been generated. There are several options for customization. One can choose to display IDs, Full Names, Avatars, Covers and more. I’m sure most of the readers enjoy (sometimes even get irritated) reading the small rage comic strips. Now you can create your own strips and let your friends have a laugh. Dan’s Awesome Ragemaker is a great tool to create your Rage Strips with only a few clicks and drags ‘n’ drops. It is a comic editor having readymade troll faces in all their possible expressions that you can directly add to your comic strip. 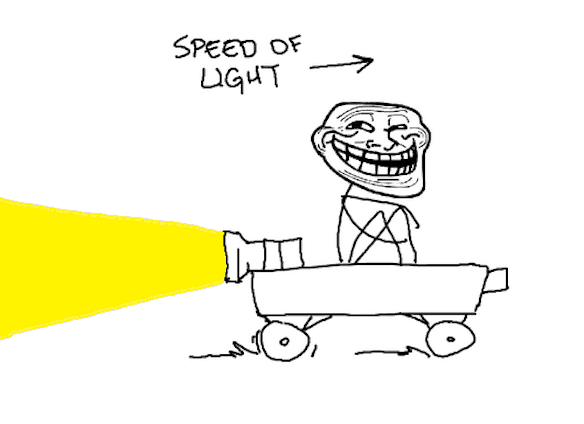 There are different categories of troll faces to choose from – Happy, Sad, Surprised, Focused, Laughing, and much more. The pencil tool is also available to make custom line drawings, and the textbox lets you add texts to your comics. You can also add more panels to your comic strip should you need them. The interface is elaborate and is self explanatory.